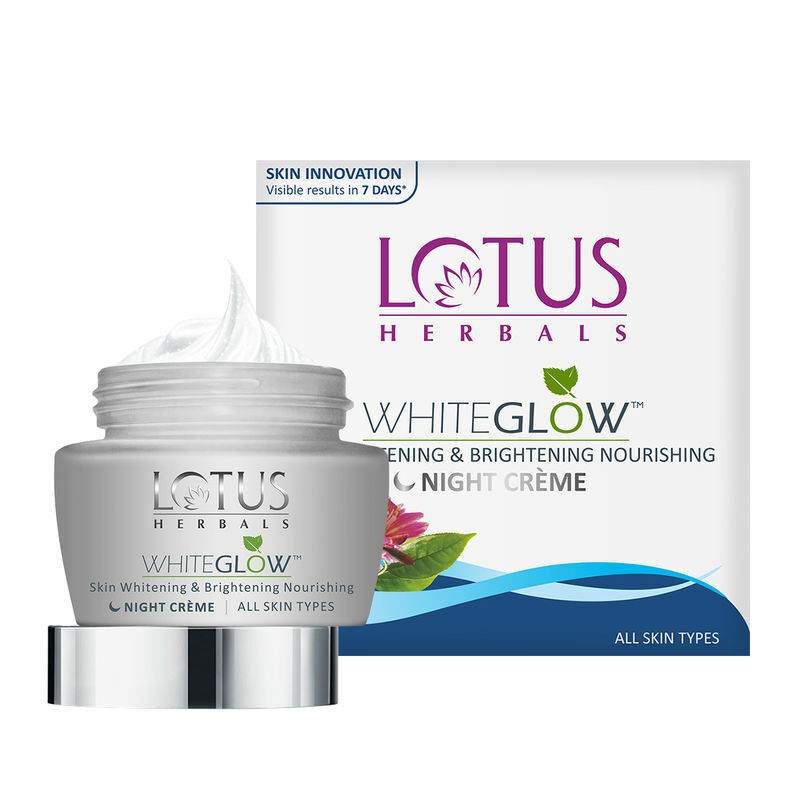 Lotus Herbals Whiteglow Skin Whitening & Brightening Nourishing Night Creme is a breakthrough advanced formula containing fruit and herbal extracts that reduces pigmentation and nourishes your skin overnight. Enriched with Grape, Mulberry, Saxifraga extracts, and Milk Enzymes it has a thick and creamy texture to lighten, whiten and brighten your skin, overnight. It unveils visibly fairer skin by reducing the dark spots while enhances your skin's radiance naturally. Contains the goodness of Grape, Mulberry, Saxifraga extracts and Milk Enzymes. Lightens your skin tone by reducing uneven pigmentation. Unveils visibly fairer skin by reducing the dark spots. Milk enzyme in the Creme helps to block the melanin pathways. Explore the entire range of Night Cream available on Nykaa. Shop more Lotus Herbals products here.You can browse through the complete world of Lotus Herbals Night Cream .